BROWNSBURG — Some homeowners are stuck with water at their doorstep in a Hendricks County town. At Eaker Court, off County Road 800 North, where flood water has run out on Wednesday night. But a homeowner told RTV6 that every time it rains for more than an hour their yards and streets fill up with water - making it nearly impossible to get through. The neighborhood street turns into a lake. Jerri Orange runs a daycare out of her home. "Last year we had to have the fire department come in here and evacuate our children," Orange said. Only four of her kids were able to come in Wednesday morning because of all the water. "I's a big problem and we can't seem to get anyone to do anything about it," the daycare owner said. According to Orange, the problem has been going on for years despite countless calls for help. 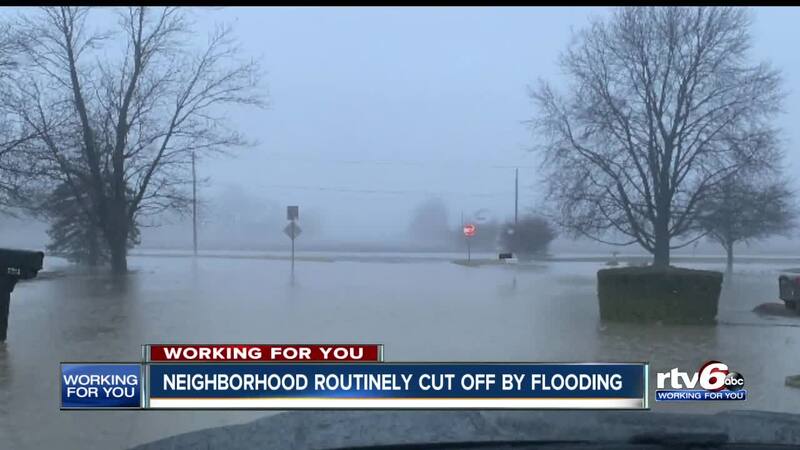 RTV6 asked the Hendricks County Surveyor about the flooding. The surveyor pointed us to the County Engineer, who did not immediately respond to our request. With more rain expected throughout the day Thursday, orange and other are hoping there won;t be an emergency next time it floods. Residents say that crews did come out on Wednesday to assess that drainage problem, but they need a permanent fix to the flooding.